The DS 200 electronic pressure switch is a combination of precise pressure indicator/ transmitter, intelligent pressure switch and digital display unit. Areas of application of the DS 200 range from pneumatics to hydraulics. It is suitable for a large variety of control applications – precise and stable in the long term. The DS 200 can be used with any gases or liquids compatible with stainless steel and the O-ring material. The basic element is a piezoresistive stainless steel sensor. The system pressure is shown on the 4-digit LED display. In addition the display supports programming the DS 200 using the foil keys. The display and housing of the DS 200 rotate so that the position of the display can be adapted to the installation position. 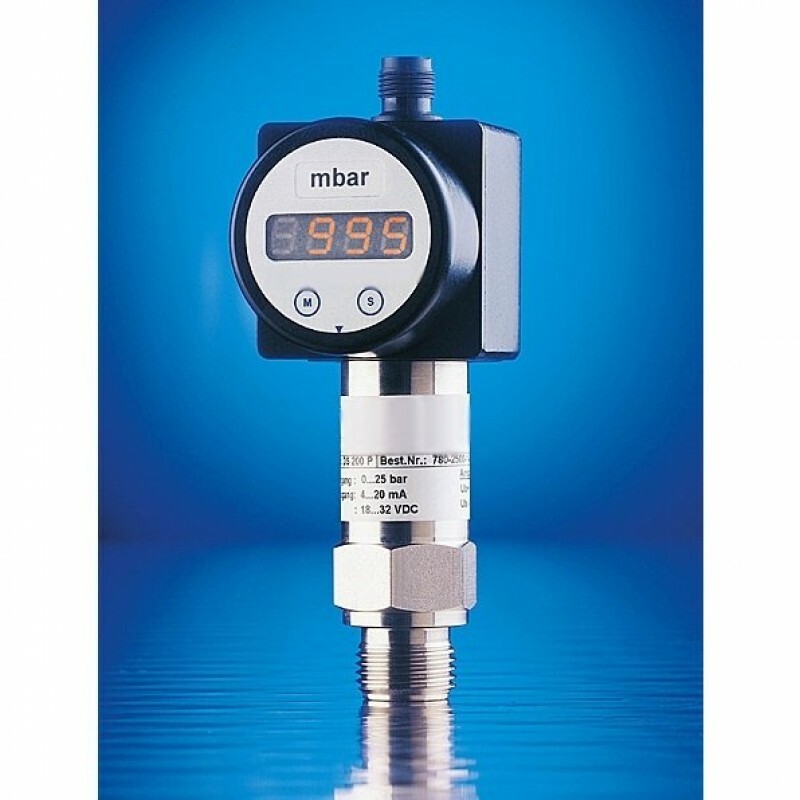 Set and reset points are freely configurable in the range 0 to 100 % of the nominal pressure. The software has several functions such as access protection, configuration of the display and the contacts, etc. Suitable for a wide range of applications from pneumatics to hydraulics.